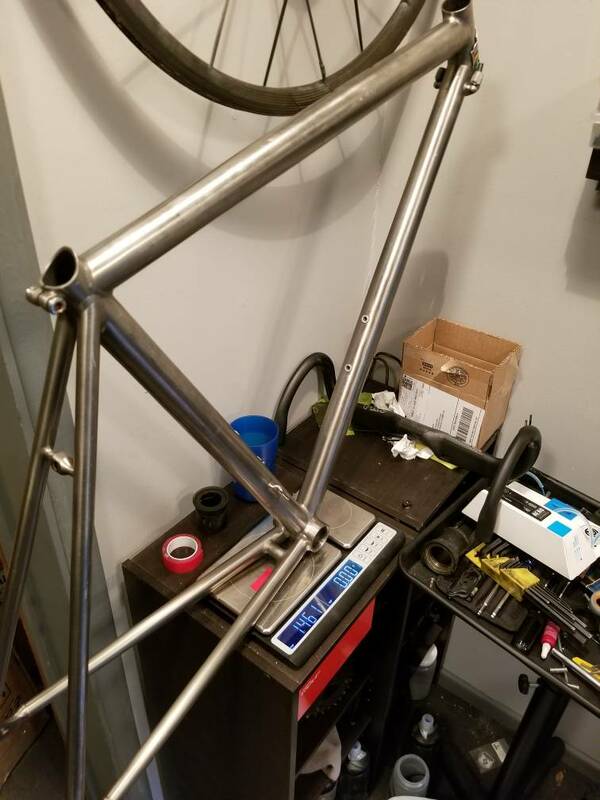 I'm working on re-aquiring some of the frames I regretted selling last year. 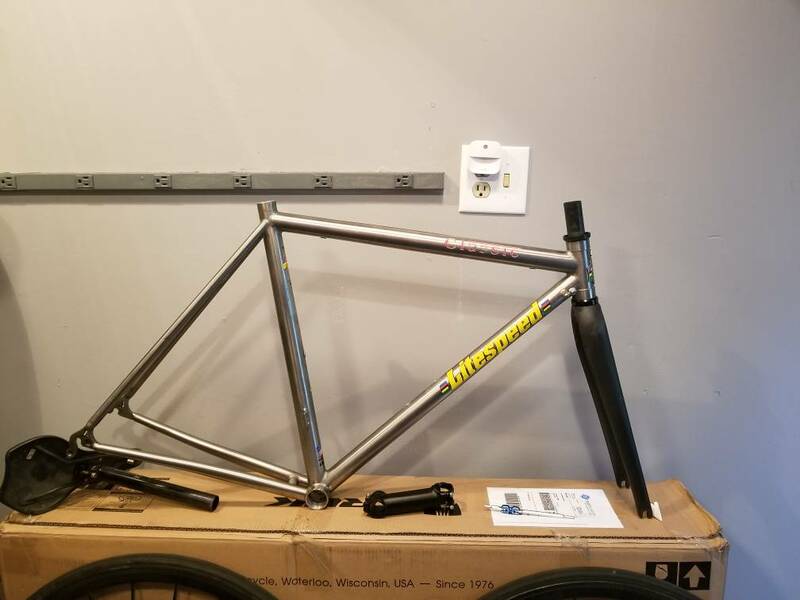 At the time I built up the Litespeed Classic for leisure rides and commuting to client sites or maybe even to handle the occasional travel needs. 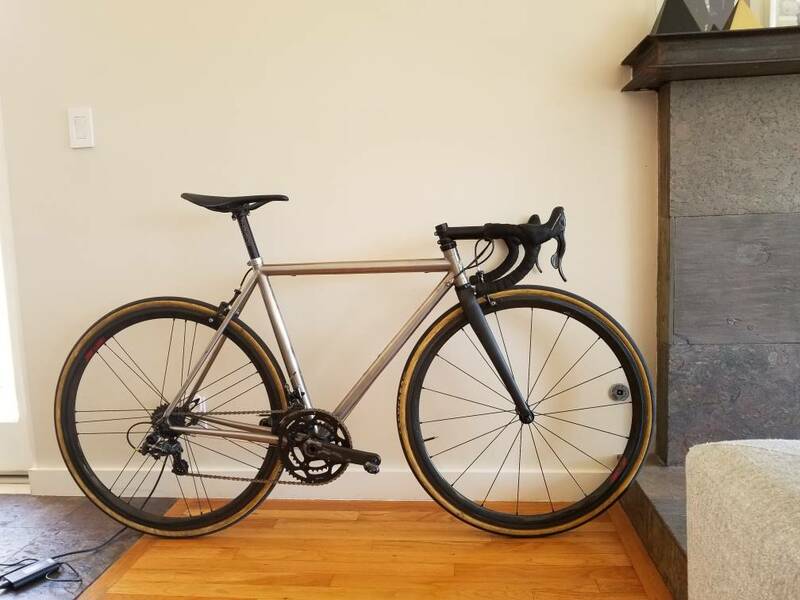 I had the T3 at the time, then the Evo happened and then I had bikes flowing out of every nook and cranny in my downtown condo. So, the Classic went. When this popped up in a slightly better size and a pretty cheap price, I snatched it up. 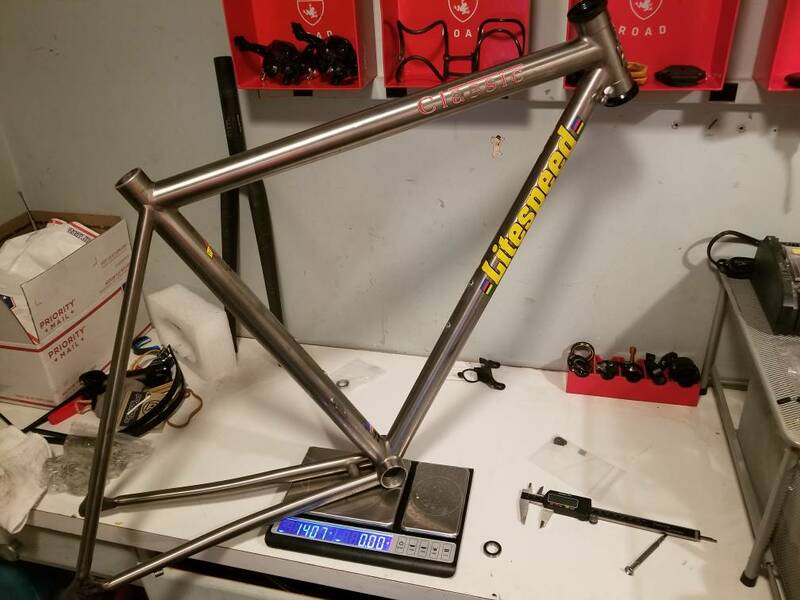 I was then concerned the seat tube length was going to be too much because I couldn't find out if Litespeed measured the size 53 as 53 ctc or ctt. 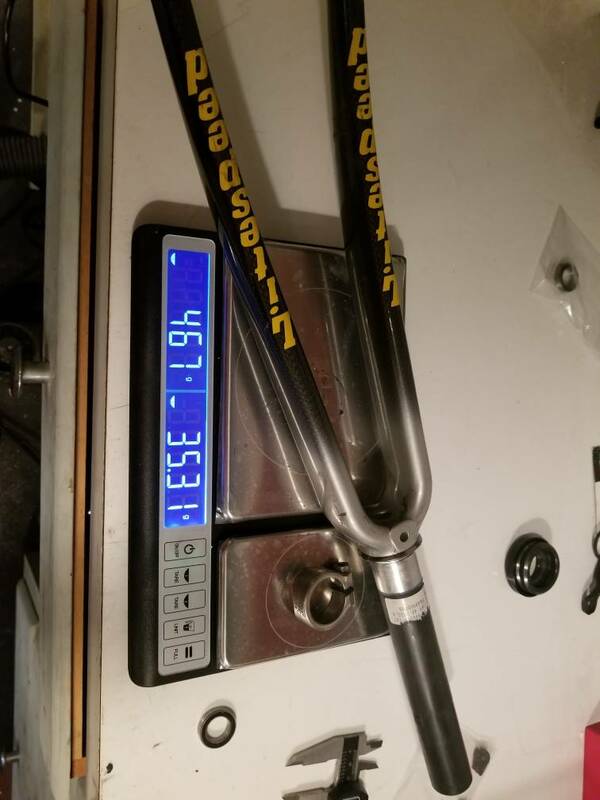 Some ebay ads suggested ctc. Nice one, I know you will make it look great. 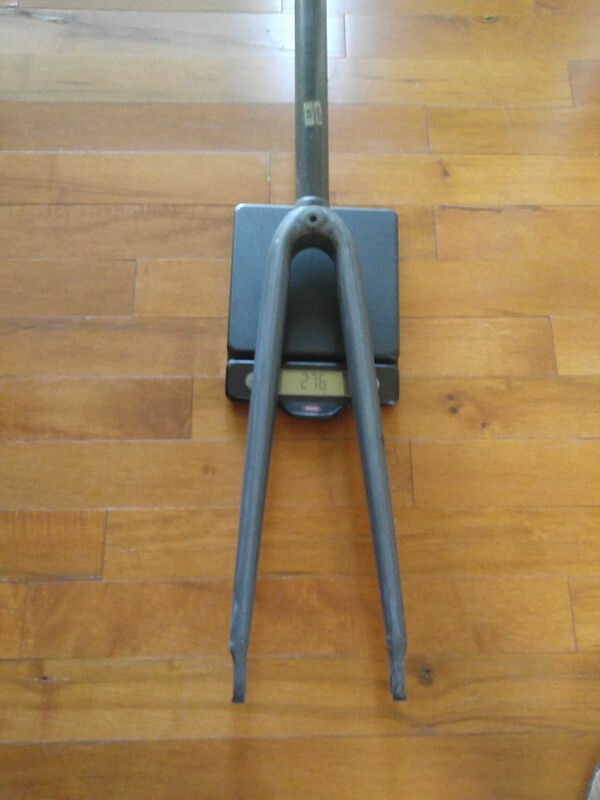 As far as a 1 1/8" fork goes, the EDGE forks I have look like they will fit larger tires than the ENVE. 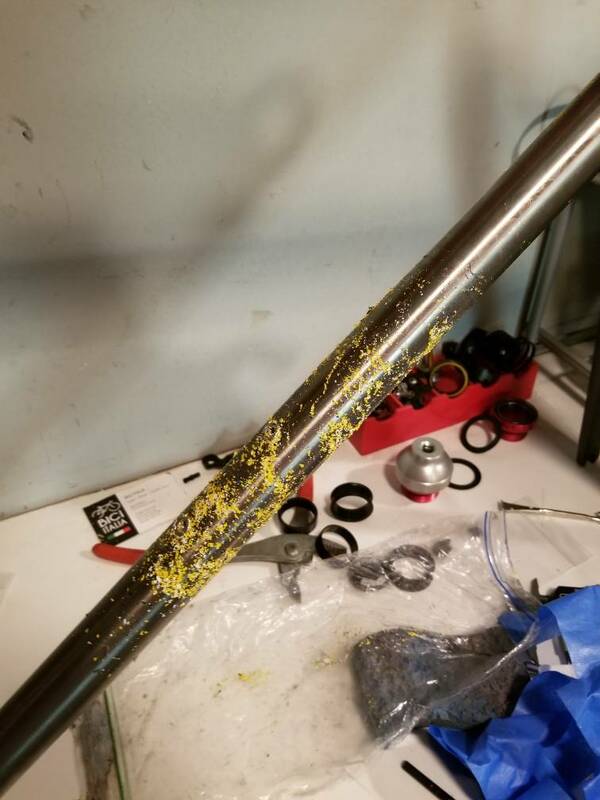 Final crankset is TBD. White industries vbc would be cool but a little pricey for the intended purpose of this bike. 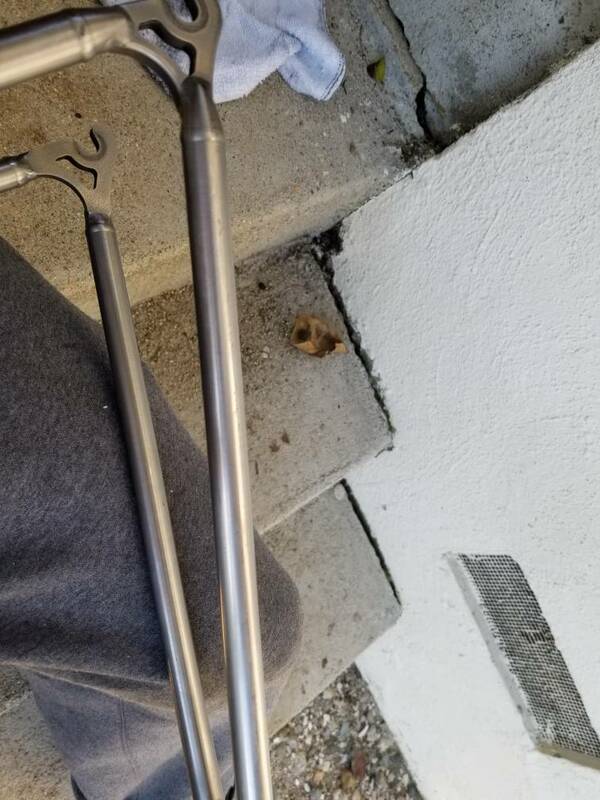 If anyone sees a set of Campy 5 arm cranks in 170mm, let me know. I'm contemplating another set of Nemesis too. 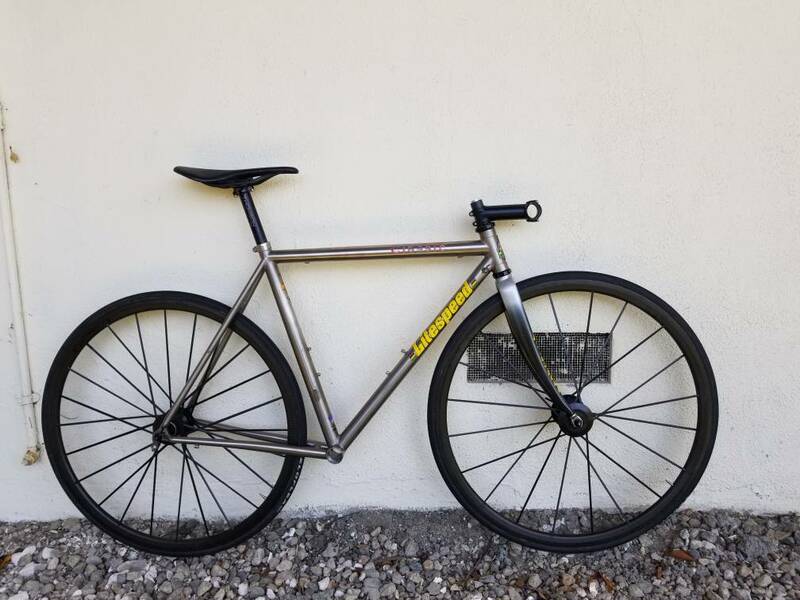 The Vlaanderen barely fit in between the chainstays which is a bummer since my 2000 Classic had more clearance than my T3 for the Vlaanderen. 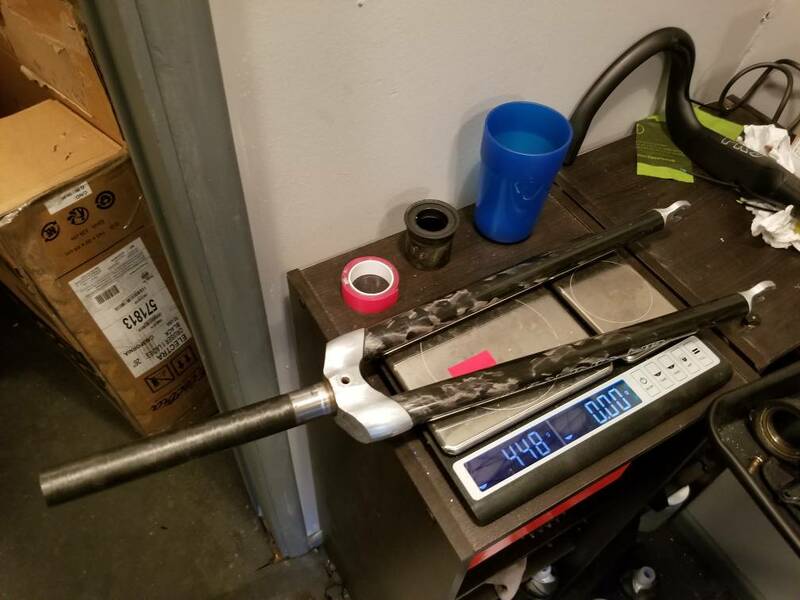 So, they must have tightened up the chainstays for the 2001 edition. ryan there is a set of 5 arm campy on ebay.com.au right now for $200 aud - 130 BCD though or does that suit? they are the ti ones which is nice. Too right. Space for bikes (storage and workshop) was number 5 on my list. After walls, roof, water and electricity. WOW With the new fork and removal of the decals this looks spectacular. And here I was thinking to had it's prime in the early 90's but, man, did you prove me wrong! Looks alright! Good to see you've kept Campy going on at least one bike. 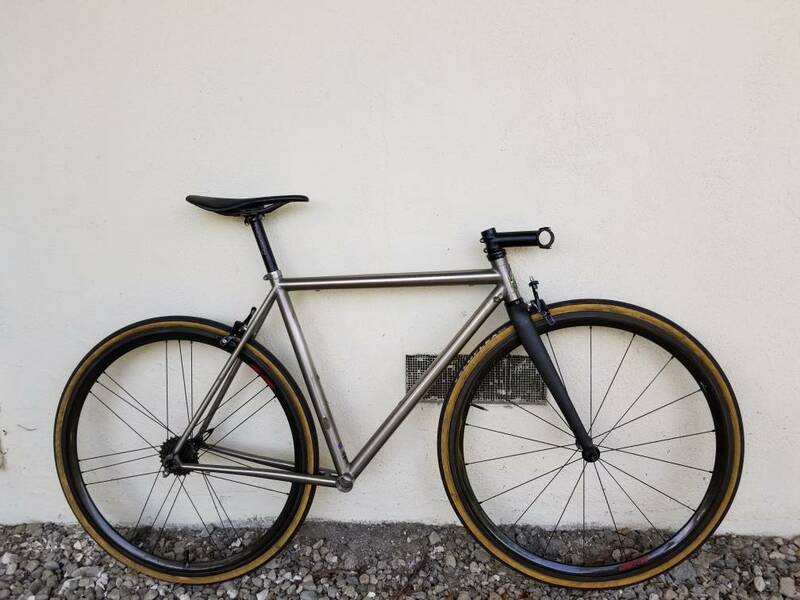 Is it just me, or is the downtube smaller in diameter than the head and top tubes? Looks a little odd. After our last ride I don't think you guys are coming back to visit me... Apparently my idea of a good time isn't the same.. . I'm going to reuse this thread rather than post a new one cause I'd prefer to hide my problem through obfuscation. 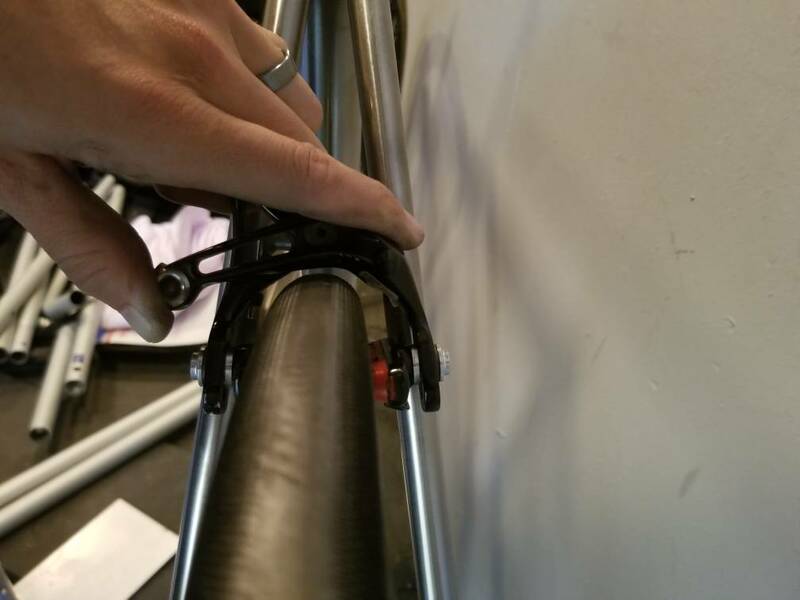 This one is a 1" head tube (like my first one) with the integrated seatpost collar and cable stops near head tube. 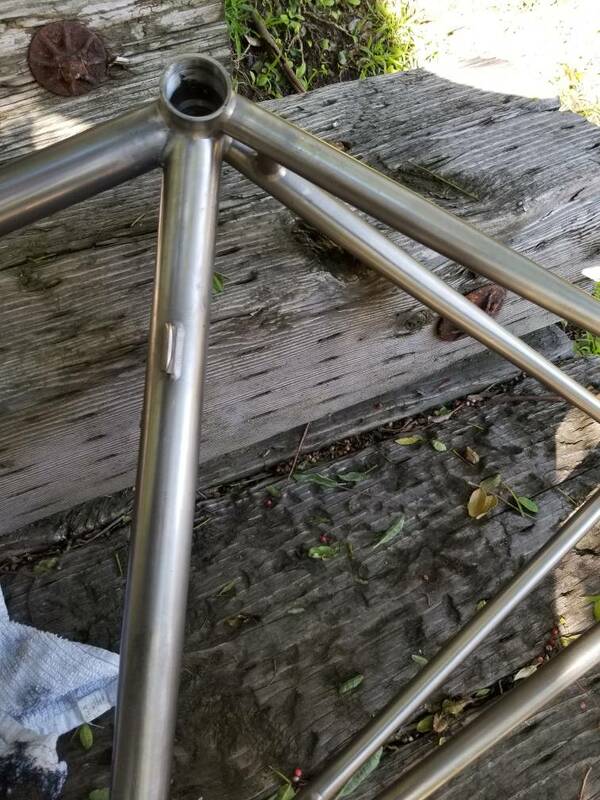 These are fairly aggressive geo frames. 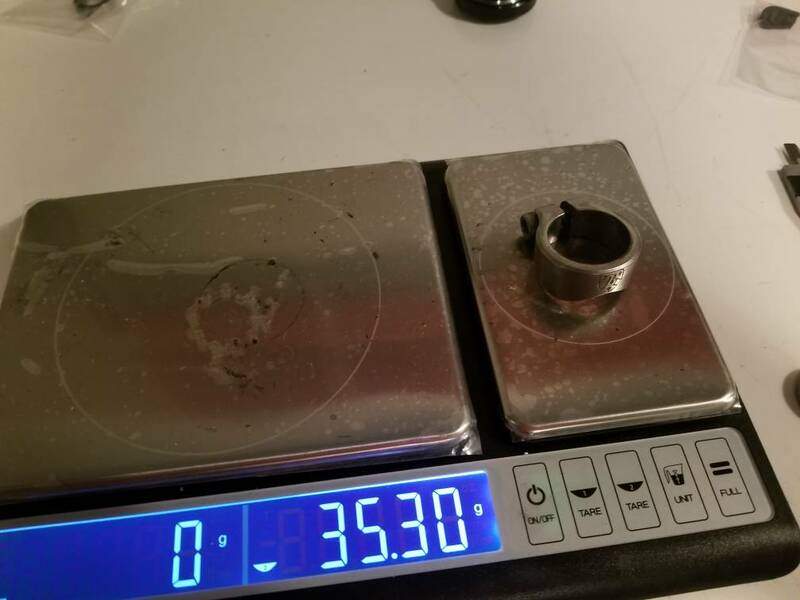 It looks like it roughly measures to be 390 reach and 515 stack. 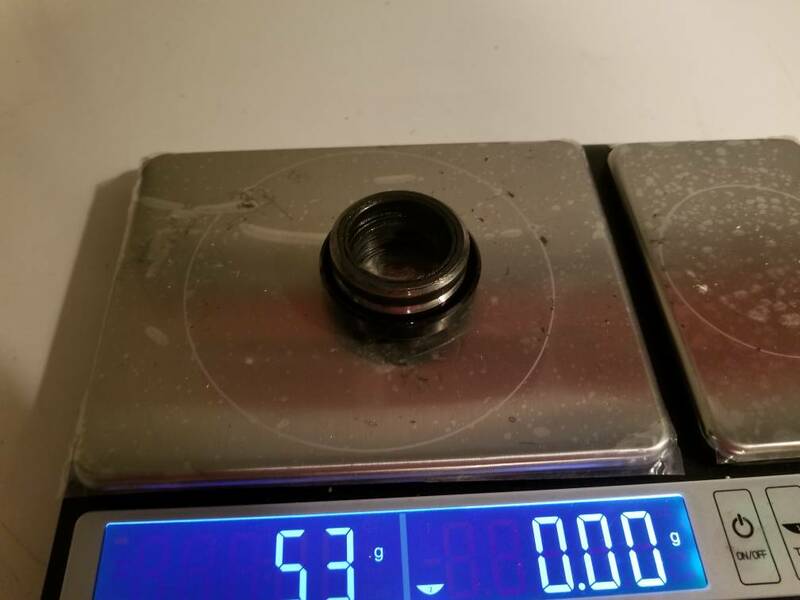 Factor in a CK headset and stack at the stem should be 530ish. 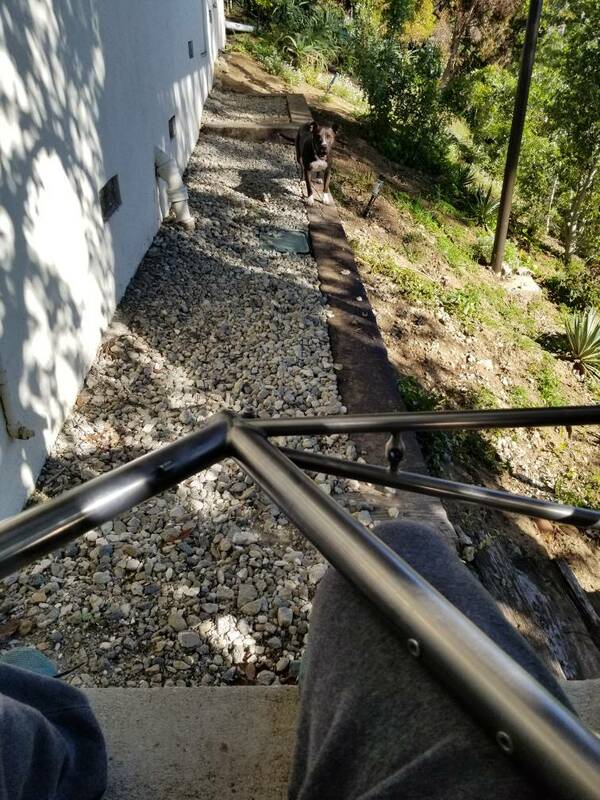 Decided to multi-task and play ball with the dog while polishing the frame. 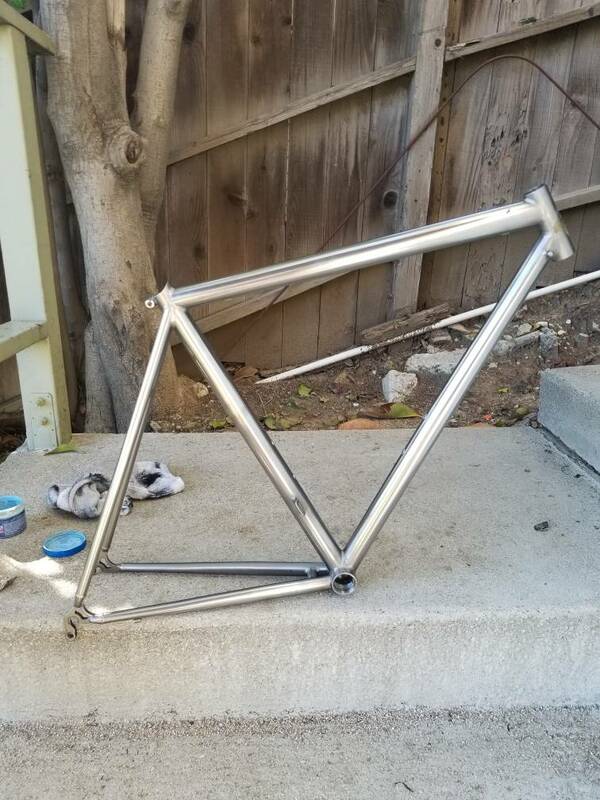 The frame looked pretty beat up for a Ti frame. Pictures didn't do a very good job capturing how janky it looked.